A peak inside a Lockheed Martin factory. While some stations include vertically-hanging airplane wings, rudders, pipes and intricate collections of wires running through the fuselage, others contain little more than an assortment of seemingly disconnected small parts. Farther along the mile-long construction strip, heavily trafficked by workers, builders and engineers, there are bays with nearly completed F-35 with a light-green exterior. 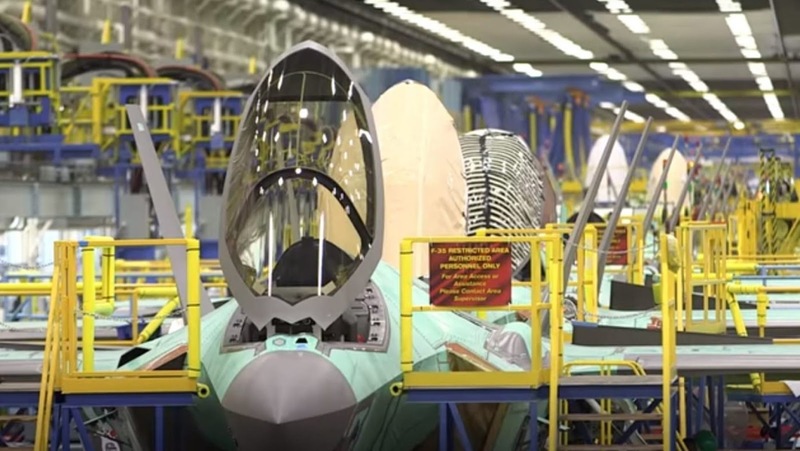 These “about to be finished” F-35s, roll into a separate environmentally-controlled hanger where they await a final coat of blended gray paint – giving the aircraft its color. WNU Editor: The logistics to pull this off is impressive. Tekashi 69 Says If There Was East Cost-West Coast War You'd Know It From Me!! !